Much has been written about the brittle nature of the Iranian regime, which clings to power only through murder, repression and deceit. The reimposition of sanctions by the Trump administration has truly brought this Islamic extremist cabal to its knees, and rightly so. With the fall of the regime in Iran and the installation of a new democratic government in Tehran, the problems in Iraq, Syria and Lebanon will suddenly be immensely easier to resolve. If the mullahs are no longer funding terror throughout the region and the world, we will all be safer. The Iranian resistance, the People’s Mujahadin of Iran (PMOI/MEK), is well positioned to bring about this reality with help from Western intelligence agencies, not Western troops. But there is one large, formidable obstacle in the way — Russia. Moscow is 100 percent behind the Iranian regime, for a number of reasons. First of all, wealthy, powerful, Iranian mullahs mean a lot of much-needed cash for the Kremlin. Iran has bought a lot of weapons from Moscow, along with plans for nuclear plants and other commercial goodies. Even with the sanctions, Russia is still reaping the benefits from President Obama’s appeasement to the murderers in Tehran. The Kremlin perfectly understands that a democratic government in Iran would derail this gravy train and redirect resources toward the needs of the people. Protests in Iran, happening even as this is being written, demand that the regime stop spending all its treasure in Syria and Iraq and return what remains of its wealth to a population facing poverty, water shortages, and other hardships. Second, Moscow is loath to remove an ally in the battle to limit U.S. influence from the Middle East. Iran is the perfect tool for the Kremlin to work its desires in the region. Although the mistrust between the two nations is significant, the alternative for Moscow — i.e. a pro-Western government in Tehran — is simply not something they could accept. The Russians therefore will do everything they can to prop up the mullahs. 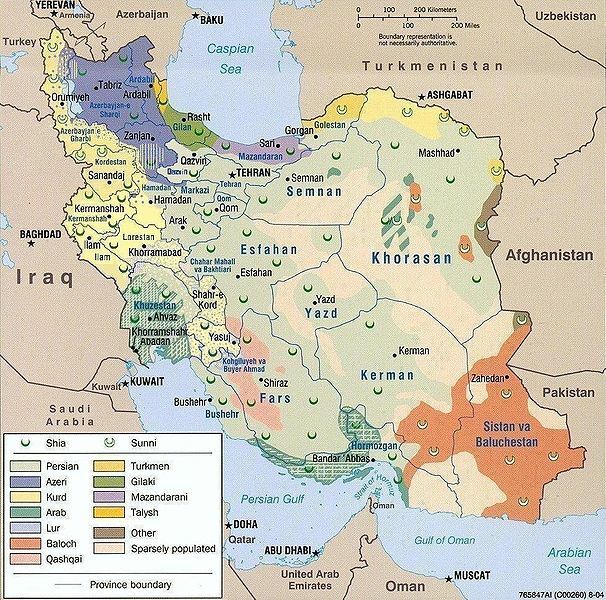 Persia once was a great empire and Russians have long historical memories. They realize what a powerful, free Iran would do for Russian influence and it wouldn’t be good. Third, we have seen how important the Assad regime in Syria is to Russian foreign policy. The port at Tartus was long a Soviet bulwark in the Mediterranean, and the air bases near Latakia are now critical to the Kremlin’s regional influence. The Syrian campaign bolstered Russian President Vladimir Putin’s standing at home in the face of domestic economic troubles. To allow the Assad regime to lose its biggest benefactor in the region — Iran — is simply not something Mr. Putin can accept. For its part, Israel has taken off the gloves and is striking the Syrian regime with regularity, preventing any build-up of sophisticated Russian weapons supplied by the Iranian Revolutionary Guard Corps. Without the need to manage the presence of Iranian troops in the region, Israel would have a much freer hand to keep Mr. Assad in check. So although the Trump administration’s goal of undermining the Iranian regime is the correct one, it will not be easy. Russia will prop up Iran as long as possible. This is all the more reason for Mr. Trump and Secretary of State Mike Pompeo to increase the pressure on Iran, overcoming whatever resistance is put up by deep-state holdovers from the previous administration.